"To refuse a $500 item in advance for a service that has a negligible cost is downright idiotic!" The above quote and comments herein were provided by barter veteran Alan Zimmelman in reference to our continuing dialogue on the question: "What are your thoughts on why more bartering isn't occurring in the marketplace?" Zimmelman, former Sr. VP of BX Exchange, former VP of Ubarter.com and past owner of the BXI West Los Angeles office, contends that barter's perception is "second tier" because it is not a cash transaction. "For many," he says, "there's the reluctance to try something different. Just like a child's resistance to jumping off the high diving board, it's scary, you could get hurt." Zimmelman continued, "In negotiating the purchase of a new car on behalf of my mother earlier this year, I countered their offer with one that consisted of $20,000 in cash and $2,000 in trade. They came back and said they'd take the $20,000, with no trade money. That means they didn't value (or care to understand) the significance of my offer. "There's also the belief in the marketplace," according to Zimmelman, "that if someone can't sell their product for cash, they're just not doing their job properly. Heavily discounting for fewer real dollars is more attractive (and more common) than capturing the full value on a barter basis, or even one on a part-cash part-barter basis." Zimmelman observes that "many people lack common sense," explaining, "it's a wonder to me that they survive in the world of commerce. "For example, when a car wash owner (who already knows and trusts me) will not do an upfront $500 trade for something he is going to spend cash on, then what we have is either a failure to communicate or a misunderstanding of barter's value in the marketplace. Because," Zimmelman reasons, "the incremental cost of washing one more car, about once a week, is insignificant. To refuse a $500 item in advance for a service that has a negligible cost is downright idiotic." In the current issue of BarterNews (the cover is on our home page) we had an extensive story titled, "Where Are We Headed...The Future Of Commercial Barter." Twenty-five individuals from the barter industry were quoted in the article. Those interested in reading the seven page story, "Where Are We Headed...The Future Of Commercial Barter" can order a subscription online. Do so prior to next week's Tuesday Report and we will include a back issue as well. Both will be sent out the same day we receive your order. One hotly contested rule bars companies from owning TV stations reaching more than 35% of U.S. viewers. Another rule makes it difficult for a company to own both a TV station and a newspaper in the same market. The review is expected to be completed, at the earliest, in mid-2003. So it will be another year of uncertainty for the acquisition-minded media companies. Have you read the interview with Tradecorp's Art Goehring (about barter's future) in the recent issue of BarterNews? Go to our Home Page and click through to the story...it's well worth your time. In addition to other industry meetings, as announced in last week's Tuesday Report, we are told that BX Exchange is holding their national convention "The New Generation" at the Tradewinds Sirata Beach Resort in St. Petersburg Beach (FL)...September 24-26. For an excellent commentary on how a client views barter click on "What's New" then click "Trade Exchanges" to find and read "A Client's View of Barter," which was the keynote address by Peter Comrie at the 13th Annual NATE Convention in Toronto. The International Reciprocal Trade Association (IRTA), a trade group representing the worldwide barter industry, has hired Dawn M. Ingalls as full-time trade broker for the association's Universal Currency (UC) program. The 99 UC members worldwide are barter companies that trade products and services among each other using the Universal Currency. Ingalls will be based at IRTA headquarters in Rochester (NY) beginning July 1. The Association of Hispanic Advertising Agencies reports there is still a lack of understanding of the Hispanic market among U.S. advertisers; they fear it because they don't understand it. Hispanic advertising budgets back up the Association's contention, as only 3.2% of the nation's big advertisers target the Latino market, falling well short of what is needed to reach the 40 million Latinos...13% of the U.S. population. One of the most often asked questions from someone new to barter is, "How do I choose a trade exchange to work with?" In the FastStart Barter Program I, on page 76, there is a list of 13 questions you should ask the trade exchange's management or representative to get a total perspective on their company. The Sierra Club predicts the U.S. population will reach 100 million people in California and as many as a billion people on the American landscape by 2100. From 1990 to 2000 the U.S. population swelled by 13%, in the rest of the developed world the population grew by 2.5%. The Sierra Club believes immigration to the U.S. will dwindle only when conditions in immigrant-producing countries improve, so people will no longer be compelled to leave home. However, there is an easy and inexpensive answer to the problem... use The Competitive Edge newsletter. It's a camera-ready, 4-page, professionally written, informational marketing tool...available in PDF format as well as print. For more information about The Competitive Edge, and how it can benefit you, go to our Home Page and see information on The Competitive Edge underneath the current BarterNews cover picture. The person who brings together two or more companies or individuals for the purpose of conducting business with each other. 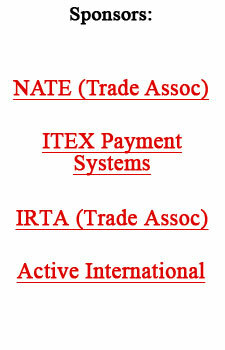 In a trade exchange the broker assists members in finding needed products and services within the exchange. Acquiring new inventory by trading unneeded items for needed goods or services.